Japanese maple is a tree famous for its beauty, it is dubbed a spectacular landscape plant and includes trees with the best leaves and twigs in the world in displaying beauty. Some varieties can only grow up to 6 or 8 feet. While other variants can grow up to 40 feet even higher. Pruning is an attempt to remove some branches and form trees to make them more beautiful. This is rarely done on mature maples if it’s done in childhood. 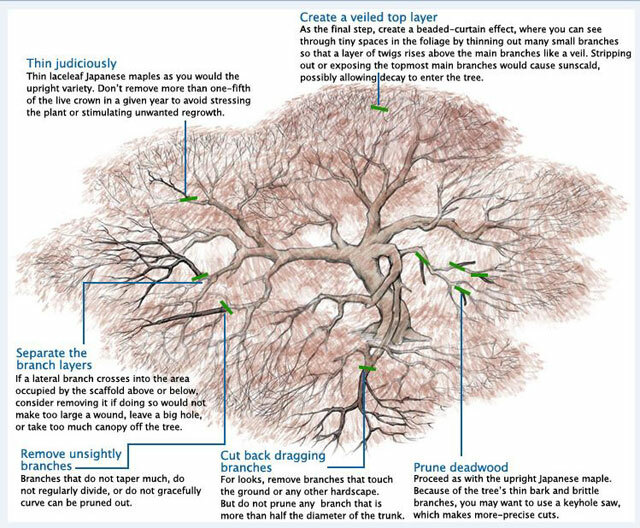 If you have not done trimming and pruning, here I will share how to prune a Japanese maple and trimming methods to display extraordinary beauty. 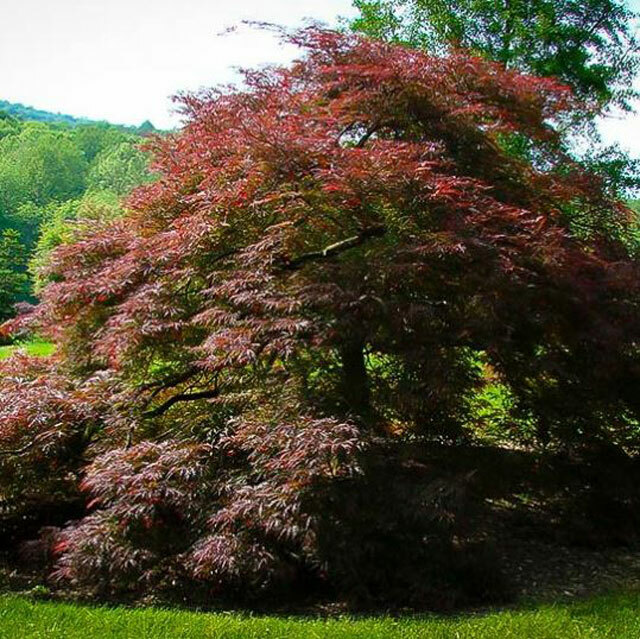 Japanese maple tree is a tree that is used to provide beauty both in the yard, room or on the porch of your house. If you put a Japanese maple in a room that is protected by the wind, and light, care is needed so that your maple continues to grow properly. Maple trees usually have a low canopy and spread out sideways so they need a little care so that maples grow well and provide perfect beauty. 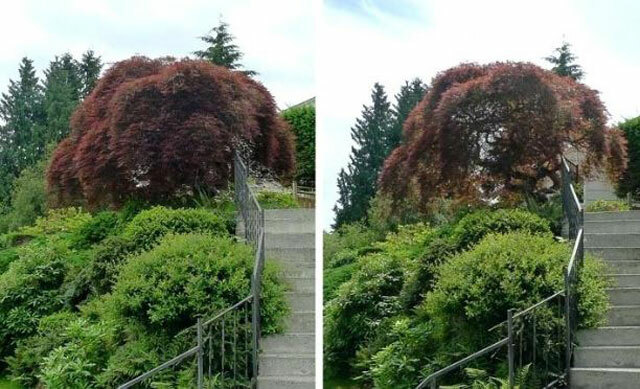 Whatever type of Japanese maple you plant, cutting a little at the bottom is necessary because branches that fall and droop down can put pressure on the tree, so the removal of some of these branches is necessary to relieve stress on plants. There are some role who have to know in cutting Japanese maple trees. Pruning must be done in late winter or early spring. This is the right time that can naturally reduce stress and injury to plants. The right pruning process can keep your maple tree healthy and not stressed or dead. In addition, there is also a pruning that is only done to remove fine twigs and dead branches that can reduce the beauty of the stem. Begin to apply scaling to plants that are already 2 or 3 years old. If the tree is still small, cutting the twigs should be at the very bottom to provide distance to the soil. Dispose of all the twigs that stick to each other, as well as the smooth branches because it can eliminate the beauty given by the large stem. Branches that are located inside must also be removed to produce a beautiful and charming appearance. To facilitate and keep plants from stress, use sharp tools for your activities. Besides being sharp, the tools you use must also be cleaned from various impurities including sap. If you have cut the maple with black spots on the leaves, wash and clean so that the fungus that might be carried away does not infect other trees. In pruning, you should not throw more than 30% of the plant each year. Make cuts slowly, carefully and surely. If you have cut a number of branches, you can step back a few steps and see if your maple is beautiful or not. Here you can pay attention, which branch should you cut next. If you do it every year, pruning Japanese maple is easy and simple because it doesn’t need to throw a lot of branches. Pruning that is done properly will provide many benefits in addition to maintaining the health of the plant as well as providing amazing beauty for all.